October is here and Fall is upon us. There are so many things I look forward to during the Fall months, from the cool crisp air and warm sunshine, to the beautiful colors of the autumn foliage, hiking with the dogs and especially tasty Fall treats. There are some great Fall foods that you can share with your dog as long as they are prepared right and given in small amounts as a treat. Here are a few of the Goldens favorite healthy Fall foods from our kitchen. I have never met an apple I didn't like and I'm pretty sure the Goldens haven't either! 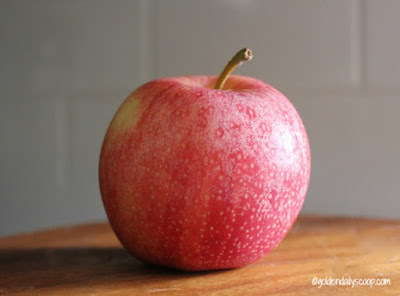 Apples contain fiber, calcium and Vitamin C. They make a tasty treat in small amounts - just be sure to keep them from eating the core and seeds as they are poisonous. 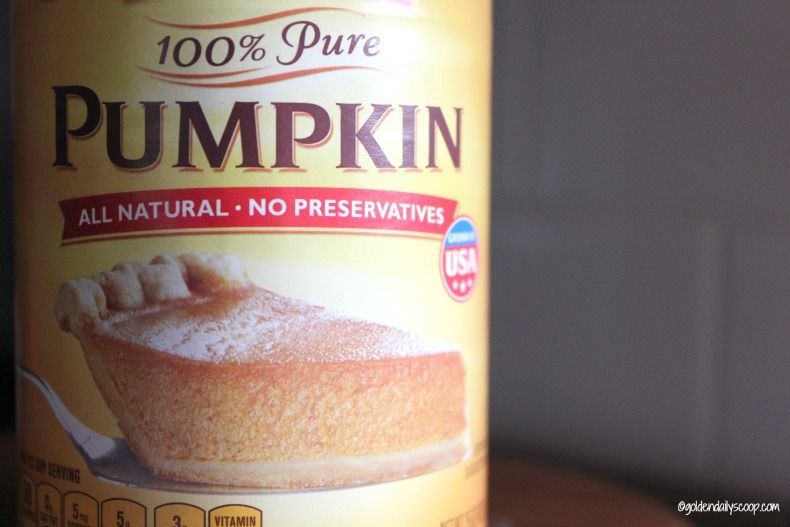 Pumpkin is like the superfood for dogs and it's safe to say we always have multiple cans of pure pumpkin on hand. High in beta carotene and Vitamin C, just a small amount of pumpkin can soothe an upset stomach, help with diarrhea and constipation. Sweet Potato is a good source of dietary fiber and Vitamin A. A small amount, thoroughly cooked makes a healthy treat for dogs. Baked sweet potato fries is a regular at our house so I always leave the seasoning off a few fries for a tasty treat for the Goldens. 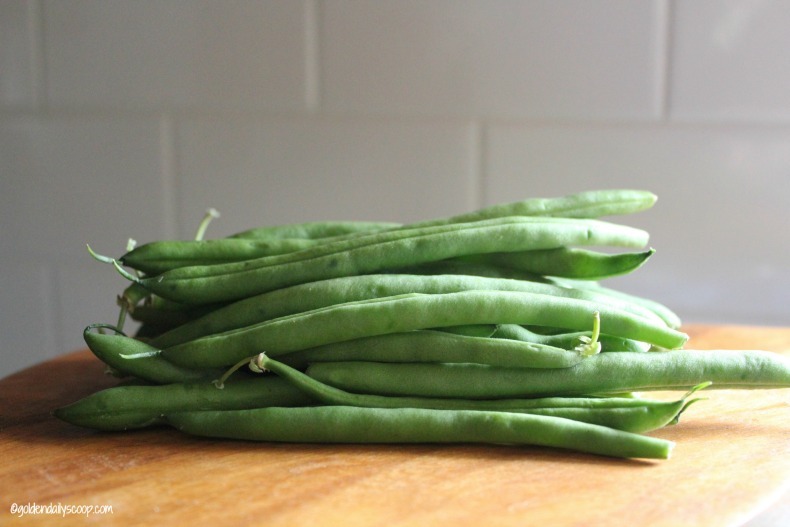 Green beans are a nice source of fiber, magnesium and Vitamin A&C. They make a perfect treat because they can be eaten raw or cooked, they are low in calories and very filing. So if your dog is a little over weight, try swapping a cookie for a green bean! 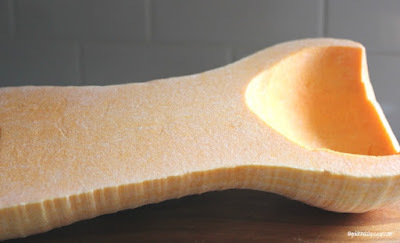 Butternut squash offers a lot of nutritional value including fiber and potassium. It helps with tummy troubles just make sure to cook it thoroughly. I like to puree it and put a spoonful in the Golden's bowls. Although each of the foods mentioned above are safe for dogs, anything in excess can cause temporary digestive upset. Any new foods introduced into your dog's diet should be give in small amounts as a treat. As always, be sure to check with your Vet if you're concerned about food sensitivities in your dog. 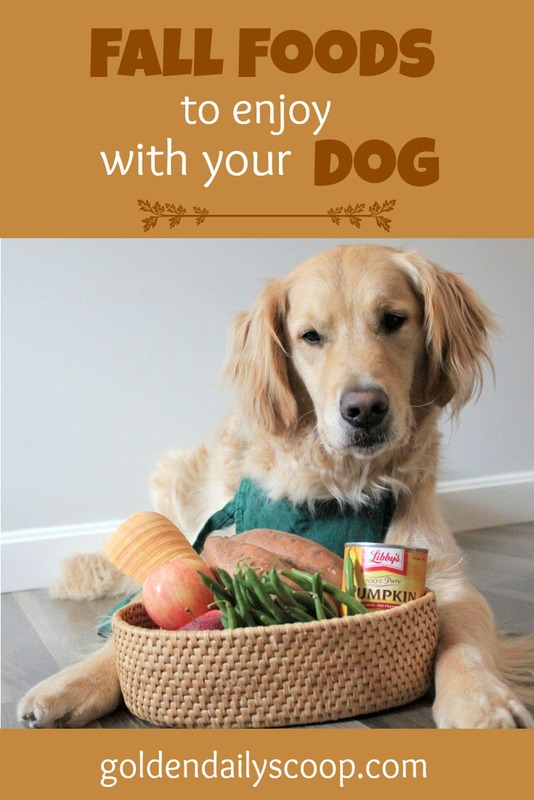 What Fall food do you like to enjoy with your dog? The Bayou Boys love pumpkin, apples, bananas, and carrots! 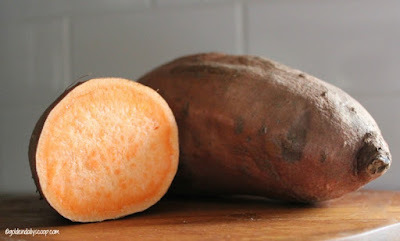 i cook falls squash and sweet potatoes for my girls. they get pumpkin when they have an upset tummy. they also get steamed mustard greens and sweet peas and baby carrots.